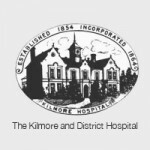 On behalf of the Board, I would like to thank you for your support during the process on recruitment for the CEO position at The Kilmore and District Hospital. We particularly appreciated your professional approach in the comprehensive screening of applicants to develop a short-list for interview and your thoroughness in the reference checking process. Your guidance and advice through the stages of the recruitment process were of great assistance. We are confident that all applicants were treated fairly and respectfully and that the Board was kept informed of progress throughout. Again, The Kilmore and District Hospital Board thank you for your assistance and if in the future we require the services of a recruitment specialist, we would not hesitate to call on you again. Having seen the position advertised on the Health Recruitment Specialists website, John became my point of contact. He provided exceptional guidance and help throughout each stage of the recruitment process and was always available to answer questions and give encouragement. John acted as a reliable and consistent contact between myself and The Kilmore and District Hospital and I had an excellent understanding of what was required as the process progressed – there were no unexpected surprises. I found John to be highly professional and a pleasure to work with. I have no hesitation in recommending HRS as an agency that provides a first class service in health executive recruitment. 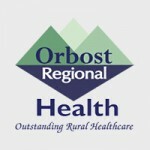 Orbost Regional Health engaged Health Recruitment Specialists (HRS) to assist in recruiting a CEO to this health service based in East Gippsland. HRS assisted the selection panel and Board at every stage of the process and their professional approach to the task was appreciated. HRS responded to the needs of ORH in a timely and professional manner. Based on the positive experience of this recruiting exercise, ORH is pleased to recommend the services of Health Recruitment Specialists. 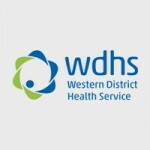 I am pleased to provide some short referee comments for Health Recruitment Specialists (HRS) who have undertaken a range of recruitment projects to difficult Senior Executive and Manager roles for Western District Health Service, the most recent being recruitment for a Director of Medical Services. I have found HRS to be highly effective and professional at seeking out and identifying very well credentialled applicants for Senior Manager and Executive roles. In my experience they have submitted only applicants who are able to legitimately meet the key selection criteria of the position. In this context they are effective at vetting applicants. HRS is a respected and well regarded recruitment agency in the health industry and have the networks and Executive data base to seek out the best applicant for Senior Manager and Executive roles. I am pleased to recommend HRS as a recruitment agency for Senior Management and Executive roles. As our company name implies, Health Recruitment Specialists is a specialist recruitment firm dedicated to servicing the needs of the health sector.